Thanks for the flowers “Kyo-ryori Sakurai (ryoutei restaurant)”. And we appreciate all the other gifts of celebration as well. LST Wedding welcomed its 14th anniversary on July 1st, 2016. We would like to express our sincere gratitude to all our clients and business partners who have been supporting our business until now. 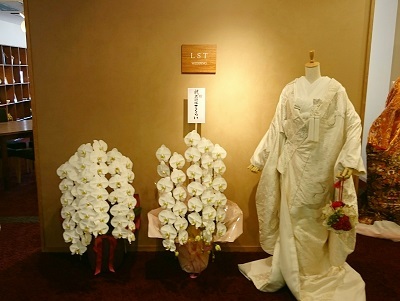 LST Wedding started our business in Kyoto where you can always find something new and yet good old tradition is well preserved. We will keep evolving ourselves with a global mind-set so that we can provide a wide range of plans and services for our clients. Please be advised that the message of the president on our recruiting page has been updated.